John commenced his career as a shipwright apprentice at Carina Yachts and McConaghy Boats in Sydney. His career has spanned the world including 20 years in the superyacht industry with more than 15yrs as captain of superyachts over 175ft. He was also the build captain on Mirabella V – the world’s largest sloop at 264ft. He has more than 300,000 nautical miles at sea across the globe, including competing in 8 Sydney to Hobart races. He won Line & Handicap Honours on the maxi “Sovereign” in 1986 that he and the team built at Carina Yachts. He has represented Australia internationally in various ocean going regattas, including the Admirals Cup in the UK and the Kenwood Cup in Hawaii. Just for fun, he has also cruised his own Cavalier 43 out to Fiji, Tonga and Louisaides. In addition to his extensive yachting experience, his qualifications include Master Class V, UK Master Class IV for vessels up to 3000 tonnes, Diploma of Marine Surveying from Lloyds Maritime Academy in the UK, Marine Engine Driver Grade II (MED II), Advanced Marina Management. Captain John’s extensive local and international experience gives him great perspective and understanding in the practical approach to the needs of discerning boating customers. His exemplary boat handling, together with his practical and cost effective approach to boat maintenance, is a great asset to the marina. Dean grew up in Pittwater and started sailing regularly at the age of 12. He commenced his marine career over 30 years ago as a Shipwright Apprentice at a Traditional Slipway and then completed his apprenticeship building a custom 45’ Cruiser/racing yacht, which he later became the professional skipper of campaigning the boat on the east coast of Australia when he was asked to join a 100 foot ketch as First mate crewing in the South Pacific and then for the delivery to Europe via the Indian Ocean/Mediterranean. He spent the next five years in Europe crewing and maintaining Maxi Racing Yachts and Motor yachts to 180 feet. He has sailed and Skippered in the Sydney Hobart and many races and regattas in Australia and Europe. On Returning to Australia he specialised in Luxury Motor Cruisers, commissioning, servicing, delivering and sourcing equipment for many years for some of the most prestigious brands before returning to managing Boat yards. In addition to his extensive marine industry experience he is a qualified Boat Builder, Certified Marine Straddle Carrier Operator, Master Class V/Mate Class IV, Advanced Open Water diver. When Dean isn’t at Empire Marina Bobbin Head he can normally be found on his Classic 50 foot Halvorsen Bridge deck. 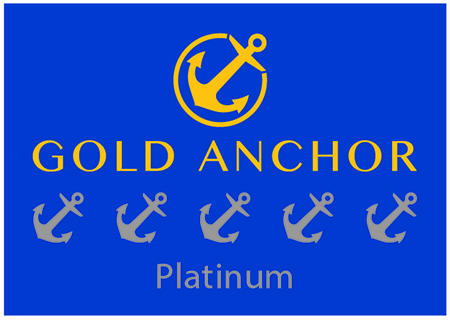 With his extensive Boatyard, boat maintenance, cruising and boat handling experience he is committed to ensuring his clients have the most enjoyable boating experience. 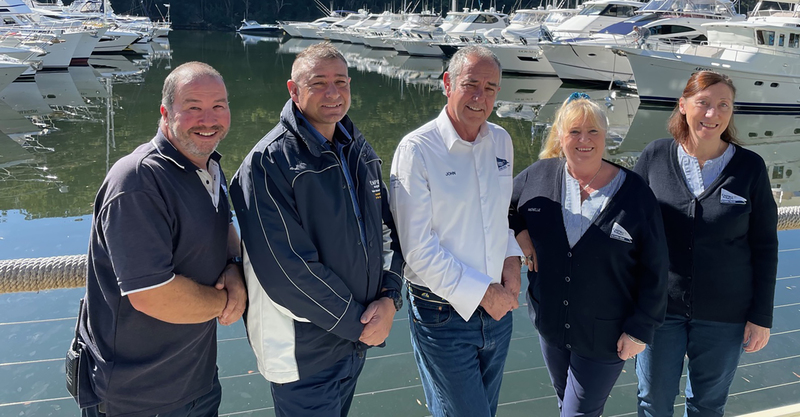 Dean makes a valuable contribution to the team at Empire Marina Bobbin Head as General Manager – Operations. Michelle has been with Empire Marina Bobbin Head for over 15 years. She’s seen the growth and development of the marina from the small family-run Halvorsen business, to a world-class, award-winning modern facility, first-hand. Having joined as a Junior Office Assistant, her dedication, loyalty and hard work saw her quickly progress through the ranks. Empire Marina Bobbin Head just wouldn’t be the same without her familiar face. Michelle loves the diversity of the clients she meets - they are from all walks of life, and the very positive community feel amongst the marina’s tenants, clients and staff, making it a pleasure to come to work. If anyone needs to know anything about anything in and around the marina, Michelle is sure to be able to help. She is a fountain of useful information – and her best piece of advice to boaties…check the weather! Michelle grew up around boats. She has many childhood memories of happy, fun-filled days on her family’s Halvorsen Cruiser 36’ called “Minmay”. These early experiences fuelled her love of boating and she believes time spent on a boat, jet skiing, fishing, swimming, eating and relaxing is undoubtedly the best way to spend a summer’s weekend. Her favourite destination in Cowan Creek/Pittwater are Jerusalem Bay and Waratah Bay - both beautiful bays where you can go ashore and explore, or just kick back in the sun with a good book, and a chilled glass of wine. “Oh, the serenity” LOL.